Ships today if you order in the next 10 hours 45 minutes. Many things can affect the health and function of your G.I. tract. From the foods you eat to your sleeping habits, your gastrointestinal tract can take a beating, even when you don't realize it. If you've started noticing the effects and are having G.I. troubles, Progressive Labs DGL Complex works to help you feel better. 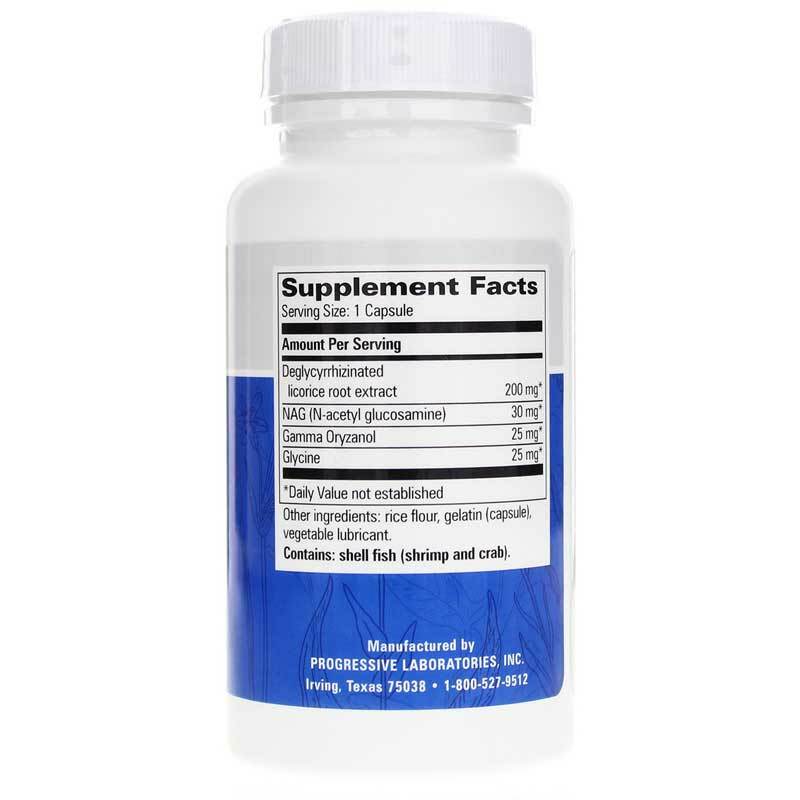 Progressive Labs DGL Complex uses glucosamine, glycine, and the benefits of licorice root extract to assist your gastric lining in healing and protecting itself from future damage. This dietary supplement promotes a healthy gastrointestinal tract without upsetting or changing your stomach's normal acidic environment. A healthier G.I. tract means a happier, healthier you! 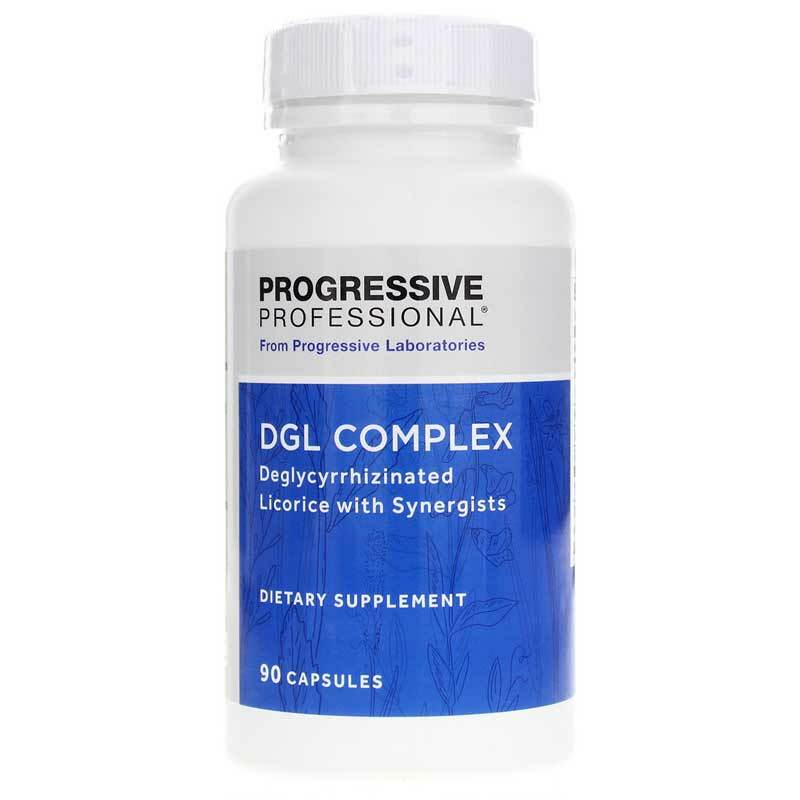 For optimal health, give DGL Complex from Progressive Labs a try today. Other Ingredients: rice flour, gelatin, vegetable lubricant. 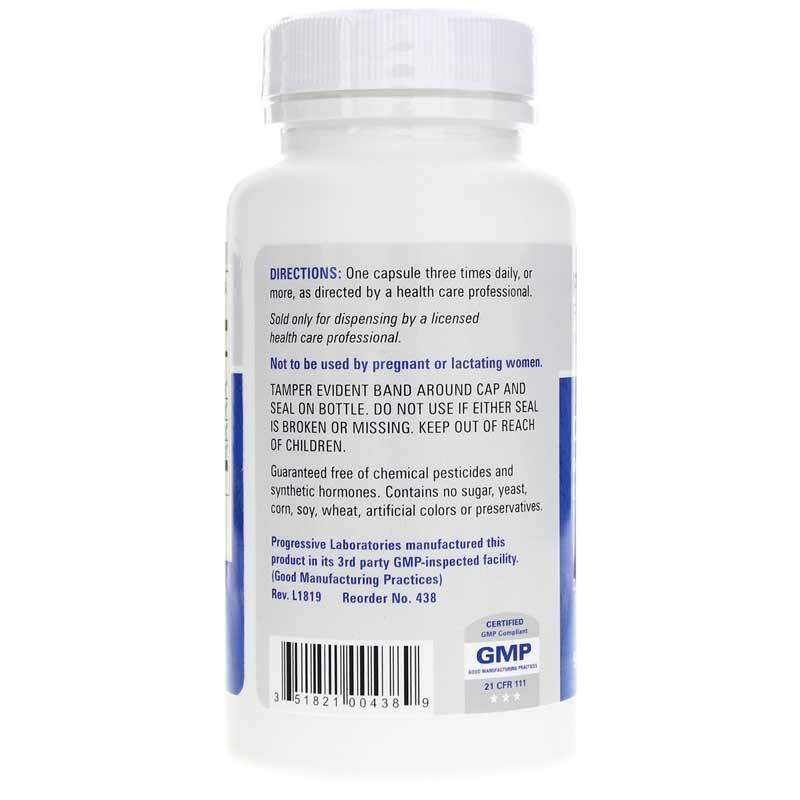 Adults: One capsule three times daily, or more, or as recommended by a healthcare professional.